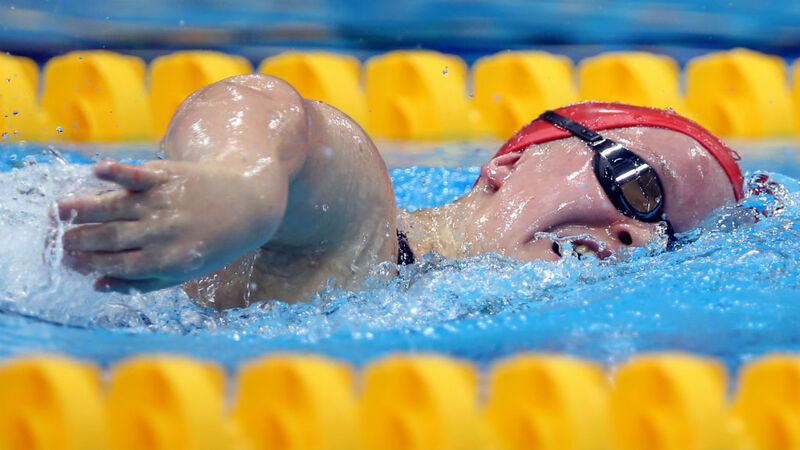 Swimmer Ellie Simmonds wins silver in the S6 100m freestyle final taking her medal tally for the Paralympics to two golds, one silver and one bronze. Simmonds is world champion in the S6 100m freestyle and was defending Paralympic champion. The 17-year-old’s swim was a personal best but she was beaten by a world record from Victoria Arlen. The teenager told Channel 4 she was “really chuffed” with the result and was looking forward to celebrating with the team. It is her fourth Paralympic medal at London 2012: she won gold in the SM6 200m medley and the S6 400m freestyle as well as bronze in the S6 50m freestyle. Elsewhere in the pool Harriet Lee won bronze in the SB9 100m breastroke.